From The Music of Batman to The Music of Star Trek, The City of Prague Philharmonic Orchestra is certainly a compilation-producing bunch. This latest album, released by Silva Screen Music, is no exception. Grouping an hour of music from various well-known films throughout the decades, this is a compilation of Celtic pieces – the go-to music style for action dramas looking to enhance the emotional impact of their dramatic scenes. When compiling an album of Celtic music there are clearly numerous films to choose from. And once you’ve chosen the films, there are still numerous tracks to choose from within those films, but the producers of this album have chosen wisely, pulling some of the most well-known Celtic score tracks in cinematic history. “Now We Are Free” from Gladiator, “The Last of the Mohicans” from The Last of the Mohicans and “The Fellowship” from The Lord of the Rings: The Fellowship Of the Ring are just three of the impressive selections included on this album. Less known (to me at least) are “Women of Ireland” from Barry Lyndon, “The Donnybrook” from The Quiet Man, and “Rob and Mary” from Rob Roy. But that’s part of what makes this album exciting – hearing music grouped together that otherwise would never have been heard in conjunction. Hearing “The Last of the Mohicans” immediately after Titanic‘s “My Heart Will Go On”Â is a lesson in how two very different composers (James Horner and Trevor Jones) approach similar themes within a specific type of music with very different results. 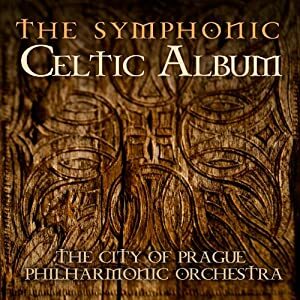 No user commented in " Music Review: The Symphonic Celtic Album, by The City of Prague Philharmonic Orchestra "